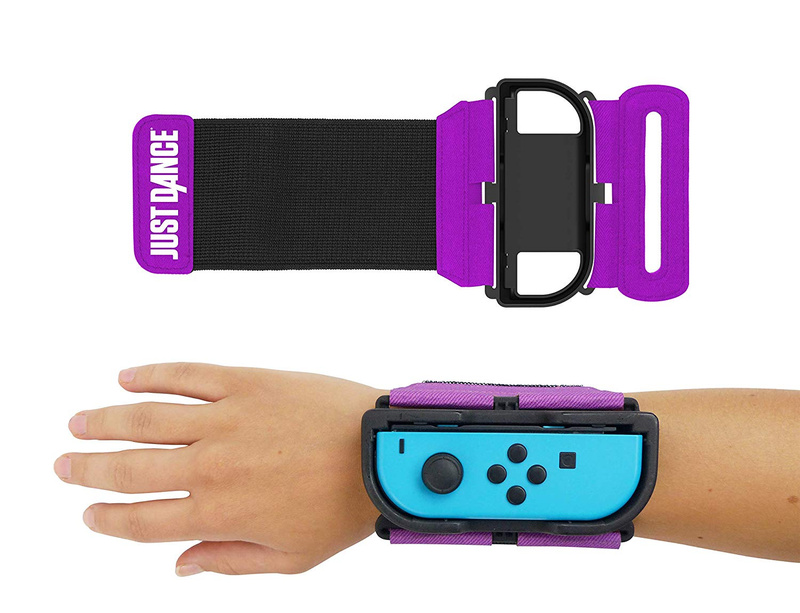 If you love a good session of Just Dance on Switch, either with 2017, 2018, or this week's Just Dance 2019, then this Just Dance Joy-Con holder wristband might come in particularly handy. As you'll be aware if you've played a Just Dance game before, swinging your arms to the funky beat can get tiring and frantic in equal measure; should you lose your concentration or get a little over excited, you might just find your Joy-Con flying out of your hand and smashing into your TV, through the window, or hitting a poor unsuspecting grandparent across the room. 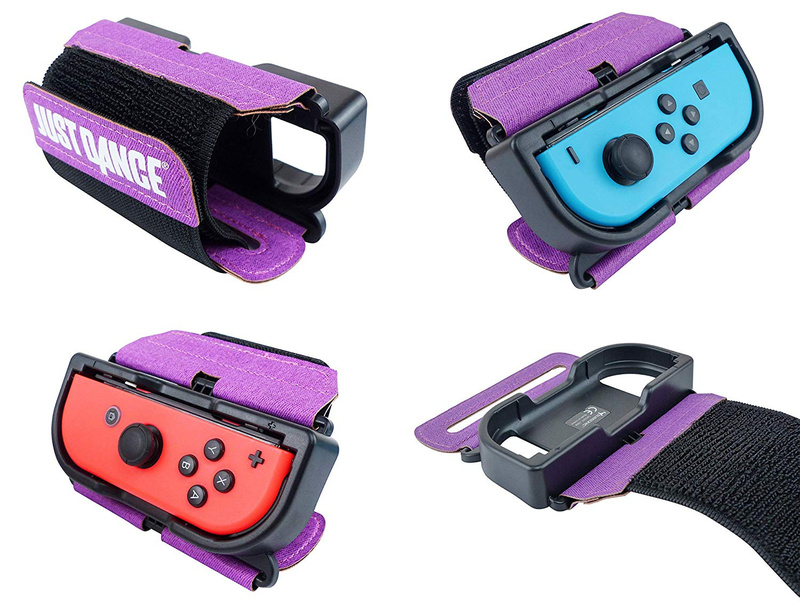 This 'Just Dance 2019 Dance Band' aims to prevent these terrible occurrences from happening, however, fixing the Joy-Con to your wrist securely. 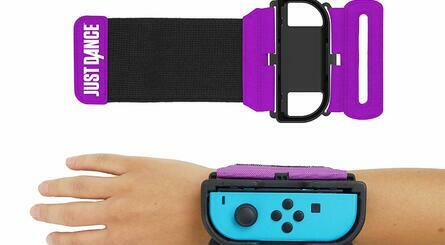 Of course, players should be using the Joy-Con's safety straps at all times, but if your children (or you) refuse to do that, or even if you just want a break from having to hold a controller while playing, this does actually seem like a decent idea. 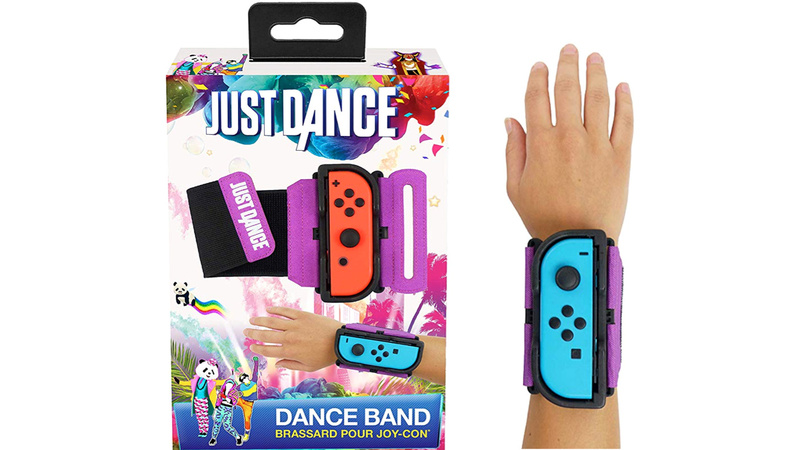 - Unique and exclusive design cuff for JoyCon Nintendo Switch in the colours of Just Dance 2019, the most popular dance game of its generation! - No need to hold your Joy-Con, insert it directly into your Armband and dance freely. 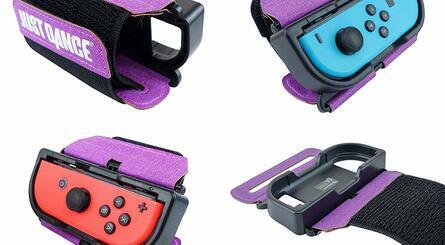 - Ultra secure, the site has been specially designed to accommodate the Joy Cons and resists knocks and shocks. - Band adaptable to all handle sizes (child and adult). The wristbands are available to buy now from Amazon UK for £13.05, with stock arriving on 11th November. 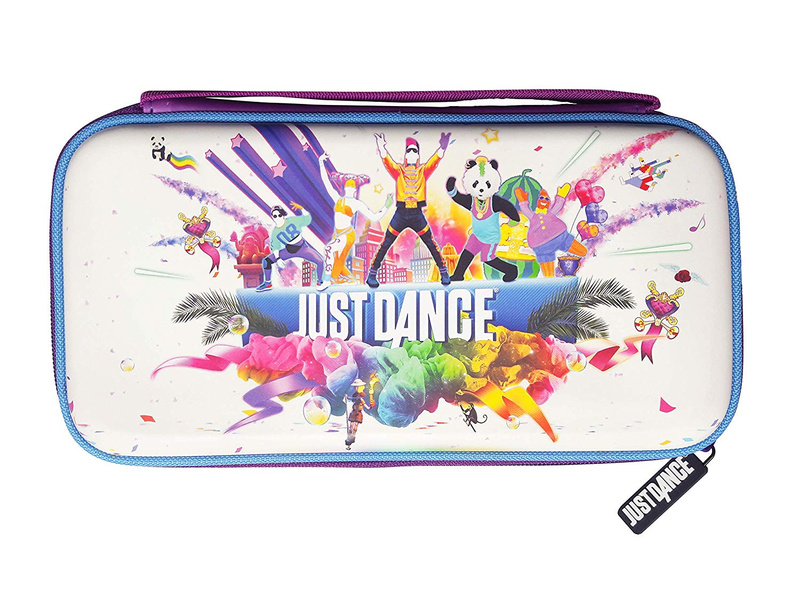 That's not all, though, as the very same manufacturer is also releasing neon blue and purple silicon cases for your Joy-Con (matching the game's main colour themes), a Just Dance 2019 Switch case, and a funky Joy-Con grip and strap pack. 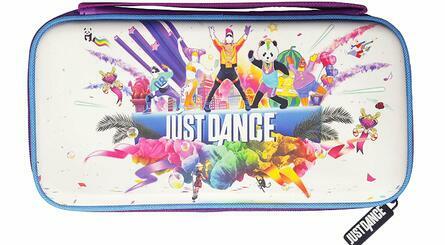 Do you know any Just Dance fans who might love some of these accessories this Christmas? Let us know if you'll be grabbing any of these products in the comments below. Do people really need this stuff? @Kalmaro Need? No, probably not. Want? Probably, especially if they buy on Amazon and see this as a "Frequently bought with..." item. Actually not terrible, but I wonder how this detects hand gestures in the dances. For example the Hadaway What Is Love? - Night At The Roxbury style seated dance is full of movements that someone one the wrist would not detect. I like the look, but how realistic is it, much of the game does have simultaneous button touching, these wrist gauntlets kind of make that cumbersome, plus there are some more precise turns and twists of the the controls themselves that would also be prevented. The price is very high. £13 for a pair would be more like it. At least it's a real product though. I remember EA back in the day selling a physical The Sims "magazine" which was entirely made up from ads about the expansions. That's a clever little idea. 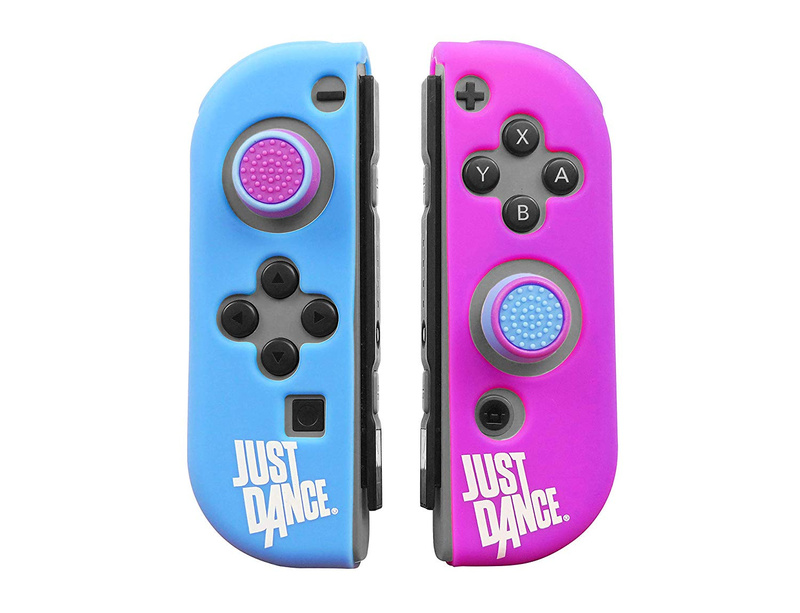 Nothing amazing, but I bet the more serious dancers don't want to need to carry a little controller in their hand as they dance, so I get it. 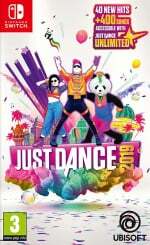 Just Dance 2019 would probably play worse with Joy Con on your wrist. Most the moves are very specific hand gestures. that aren’t going to be parallel with the way your wrist is going. The grips however are a good idea. Having played Just Dance the last 2 days, I do have a mild cramp. Dance Evolution Arcade / Xbox 360 is much better than Just Dance since it used Kinect Sensor to detect All body parts. Also, made by Konami = Hello DDR Songs. "Band adaptable to all handle sizes (child and adult)"
Well, that's just perfect for my adult-size handles! @invictus4000 I was thinking the same thing! Add a tacky glove and you have an almost perfect replica. If Fallout comes to Switch, it could..be...for .. Pipb... eh maybe not. Just Dance doesn't even have songs like DDR or Dance Evolution have. The Just Dance teams didn't even have any artist that can make their own songs like on DDR / Dance Evolution. 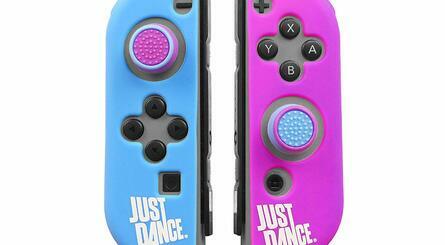 I think the people that play these Just Dance games will probably find this kind of thing rather cool.